We are a young company. Not in the sense that everybody who works here still has a few years left before they can legally buy a beer, but the actual age of our company. Our baby teeth are a few years from being replaced with pearly whites. Which is both good and bad. It’s a painful but rewarding process. And one of the best parts is helping other young companies with high ambitions reach their goals. UCIT is one of those companies and this is the story of our journey together. UCIT helps companies and organizations make their IT more user-friendly. They specialize in strategies, requirements definition, procurement and deployment of new systems and processes. Their main customers are IT managers, marketing managers and management teams. But a great product and knowledge of who they should target with their marketing and sales efforts doesn’t guarantee success. They had a big problem on their hands: they couldn't get their potential customers on the phone. The cold calling took a lot of time from the already undermanned company, and the four employees had no experience with design or web development. UCIT were looking to get their problem solved, but where should they turn? After asking around on the startup-circuit för a digital agency a name that strangely sounded a lot like a Korean BBQ-restaurant kept popping up: iGoMoon. And after an initial meeting, the journey began. "iGoMoon has a business model that appealed to us. We got the opportunity to access iGoMoon’s vast knowledge and expertise in web and motion patterns on websites. It's also a great company with awesome and knowledgeable staff. It's very important to me that there is a genuine trust in the people I buy services from." But a new web design would not solve their problem with the time consuming cold calling. UCIT needed support with their sales calls and looked at various solutions for marketing automation and lead generation, and HubSpot quickly caught their eye. After testing it out, Alexander discovered that HubSpot can do the same thing as the other systems, but with one essential difference: the usability. "The entire system with CRM and CMS is ridiculously simple. It is easy for a person who is not working with web development to use the tools. It means that all of our staff can use the HubSpots tools. It is built for users. We now have our entire site in HubSpots CMS." 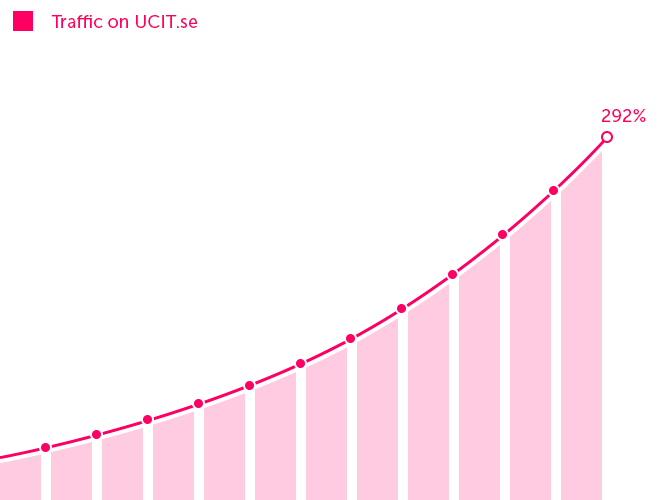 Five months after UCIT’s new website was launched and they started using Inbound Marketing, the results were stellar. 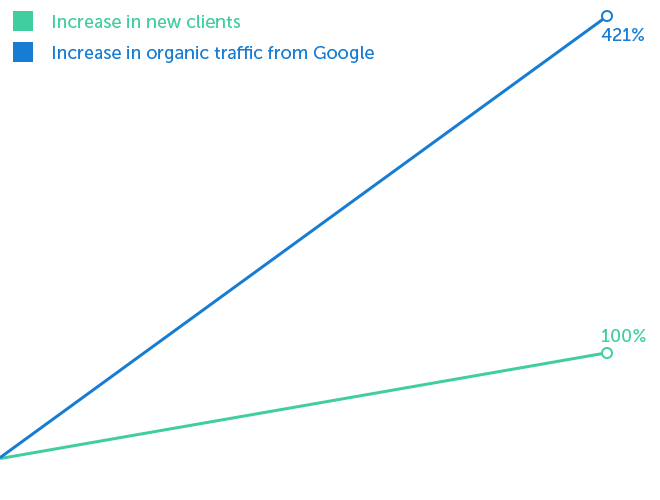 The organic traffic from Google increased by 421% and the total amount of visitors rose by 292%. Alexander got the support with customer calls he had been looking for, and with Hubspot they were now ready to provide visitors, leads and customers with their expertise through blog posts, webinars and articles. 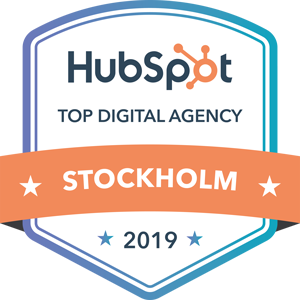 "For us, the combination of the site and Hubspot are our strongest tools to attract and process customers and we feel that we have received the help we needed to really to stay on top of our sales and marketing."